Special notes: Guinea pigs are SOCIAL animals by nature. In some countries it is illegal to keep single guinea pigs without having legitimate cause for isolation. 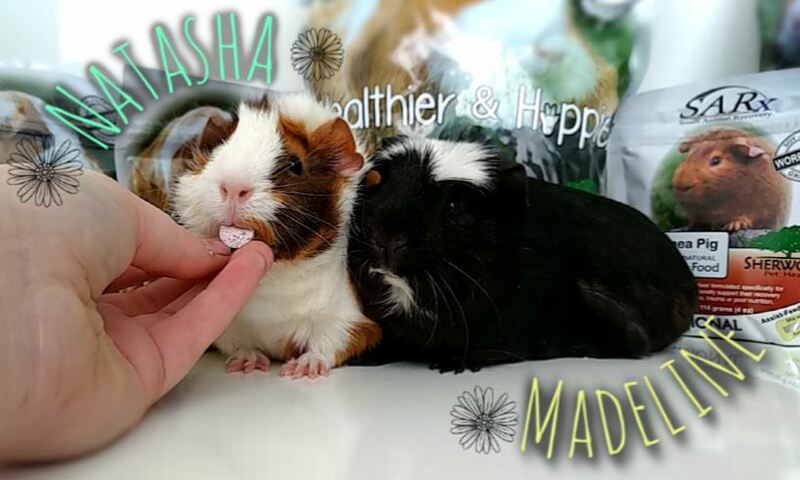 These girls are companions and should stay together. 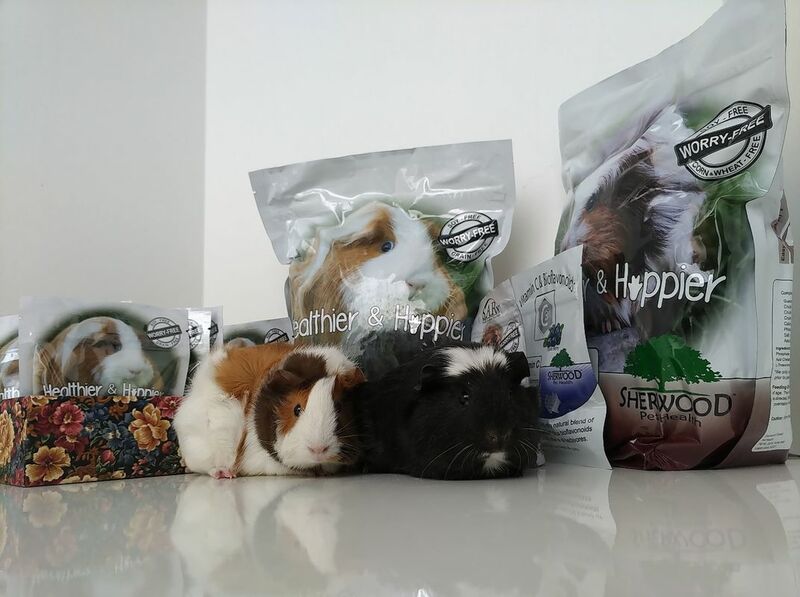 About Us: We were surrendered together in a group of guineas that were young but exposed to a male. We're old enough that we MIGHT be pregnant, so we're being held on a pregnancy watch to be safe. We're very very wheeky, and we love to respond to you telling us to "hold on" and "food is here". Off to our furever homes! 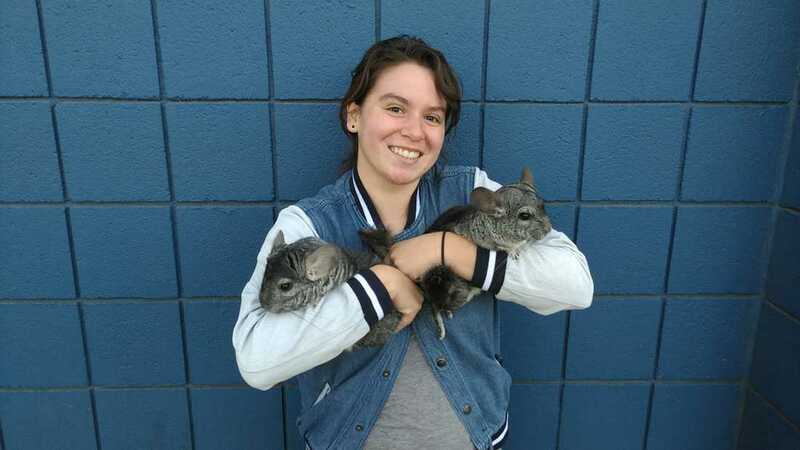 As animals are adopted through Let's Love Chinchillas + Cali_FID, we will be moving their profiles over to this page. This is so past families or surrenders can see that the animals they have brought to us have moved on successfully. Their profiles will be updated with their adoption date and hopefully a photo of their adopter if they agree to take an adoption photo. 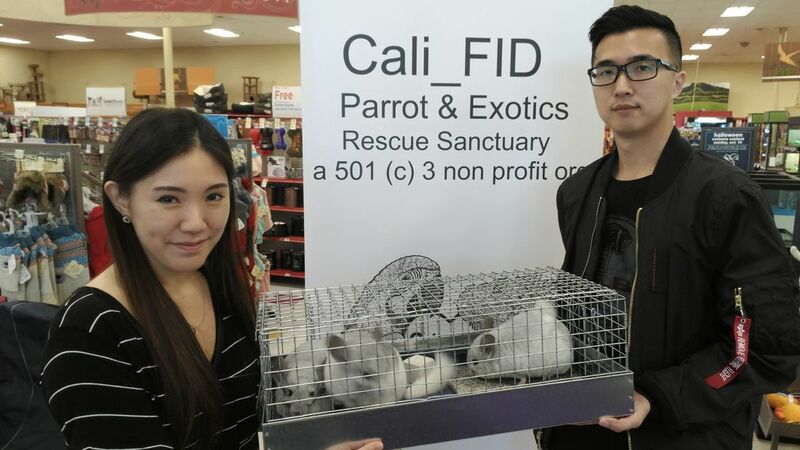 Let's Love Chinchillas started to foster and coordinate the chinchillas for Cali_FID officially in March of 2018. Mutation: Bailey is a beige, Brooke is a Pink white ( with a light beige mast on her face ). Special notes: Brooke is Bailey's mother. According to her owner, Brooke and Bailey were taken in by another rescue a year ago. Brooke was found in a shopping bag abandoned, while pregnant. She gave birth to Bailey at the rescue. As time went on, Bailey suffered a injury that resulted in the amputation of her leg. 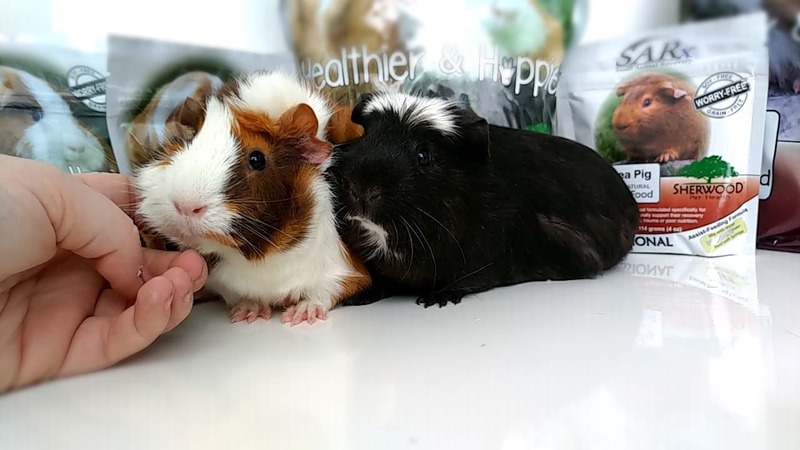 The girls were adopted out as a trio ( with their previous owner's original chin ) but the 3 decided they didn't like eachother when they got home. Bailey and Brooke stayed bonded while Brandi now lives alone. Special notes: Has only had one previous home. Dumpling is young, and has many years to give to a loving home. He's super friendly, will greet you at the cage door, and is curious too. He enjoys being cradled close, and has a ton of energy. Special notes: "Doe" the mother, has a cataract. This is assumed to be from old age. She may not see out of that eye well, but is otherwise healthy as-is and does not need special care. "Doe" is also a fur-chewer, this is only cosmetic, and does not put her or the others at risk! 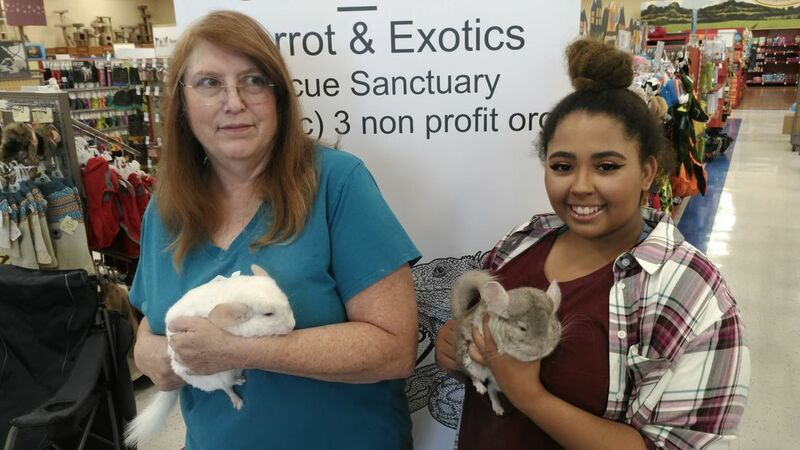 Do, Re, and Mi, were surrendered by a good samaritan who learned that they were left outdoors in the summer heat. The good samaritan offered them shelter until she could meet with us and surrender them. The three appear to be in good health, and are undergoing a pregnancy watch. 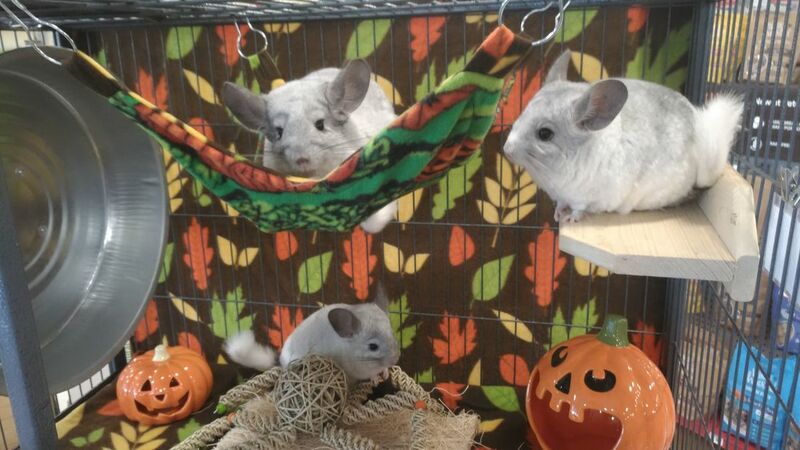 All female chinchillas are placed on a mandatory 111-120 day pregnancy watch. At the end of the pregnancy watch, this mother-daughter trio will go up for adoption together ( so long as all 3 do not give birth ). I was surrendered on 8/9/18 and I was adopted by Olivia on 9/4/18. I will hopefully continue to appreciate my new friend, Ato, and live happily in my new home! 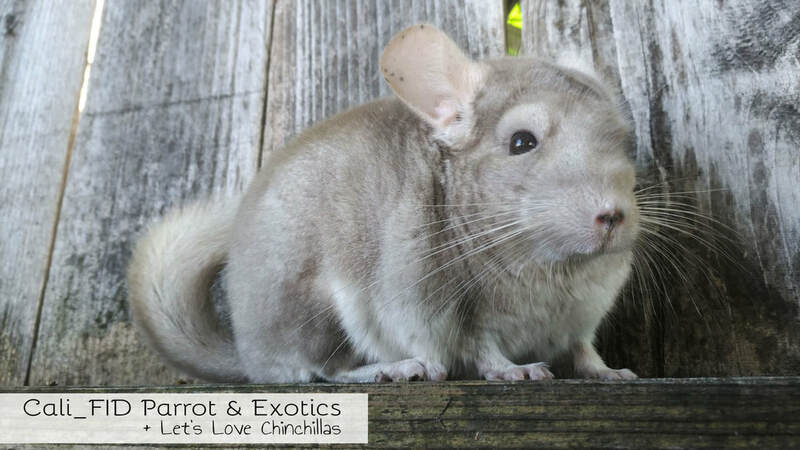 Max is a 6 1/2 year old standard grey male chinchilla with a calm, peaceful, personality. He is new to the rescue and will need a few days to settle in and really show us who he is. He will be under quarantine for 15 - 30 days before he is available to adopt. 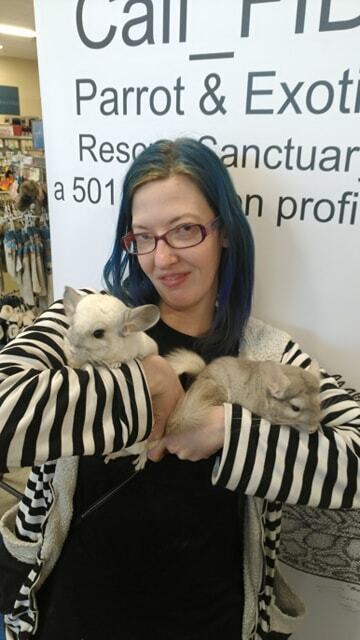 I am a single male, standard grey chinchilla. I am full grown, but my age is unknown. Possibly somewhere between 1-3 years old- I seem young! I have been with my foster since March 14th 2018. I was sick, but now I am all better and looking for my forever home. I am available to a pet- only home. No breeding please, girls are icky. I am really calm, can be skittish but generally I am fine. 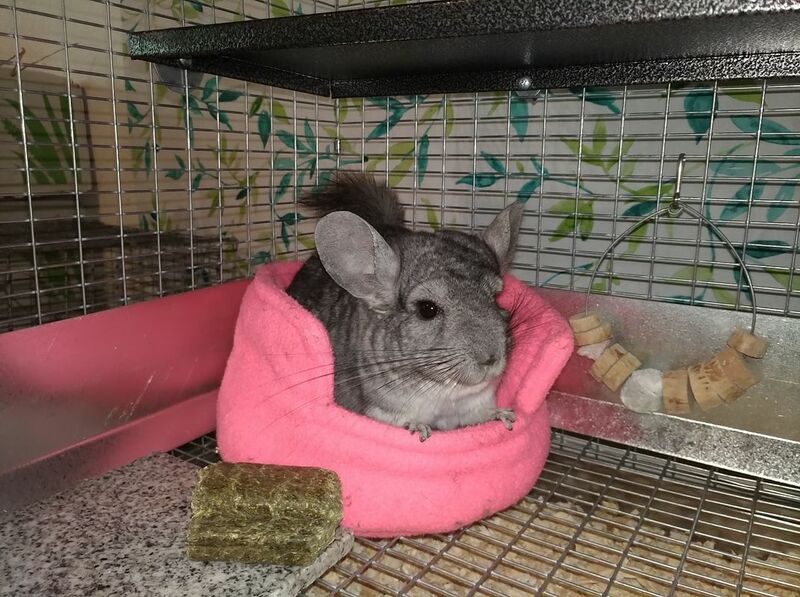 I like my pink princess bed, which will go home with me. A nice woman named Nan also gave me some dust and a brand new bottle to go home with me. You can pet me while I am in my bed, I feel safe here. 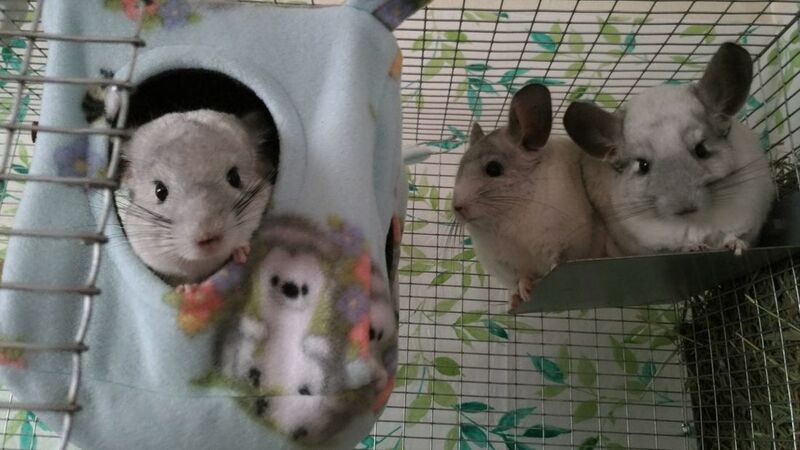 I like hammocks, and currently do not chew on fleece. I like to chew my chew toys, eat my feed, and even my hay. I am an excellent pooper. ​With the right home, I may also really enjoy being held and getting skritches. I was surrendered on 5/6/18 and fostered by Leah. I was super chill. I let Leah's small human hold me. I didn't get spooked easily and was pretty friendly. Adopted : 9/18/18! by his foster, Jayne C! Little White's foster mom, Jayne, decided she couldn't see him go when he became available for adoption and decided to adopt him! He now has a loving home! ​His name was officially changed to "Joey" today. ​Brandy gets a fresh start for this new year! She's been adopted by Jing ( mother ) and Aretha ( daughter in photo ). Brandy is about to be so spoiled, her new owner did so much research on her own! This family is our fave type of adopters. Her mother, Jing, is 100% committed to providing Brandy with everything she needs. It's important to realize when adopting for a child, the ultimate responsibility relies with the child's guardian to insure that the pet is well cared for. Note: Brandy's ears are red because she got HOT. The Petco location had their heater on. We had to be careful stepping out to cool her off ( 30 outside ) because the never ending storms we have currently. 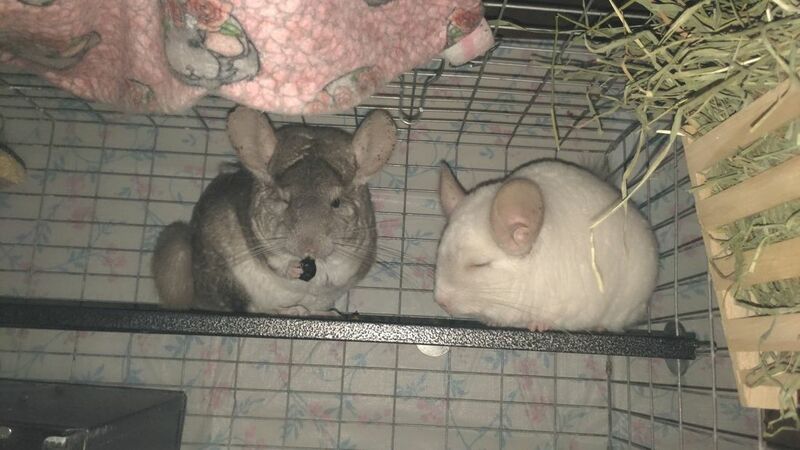 Please don't take your chinchilla outside unless it's necessary. Thank you. 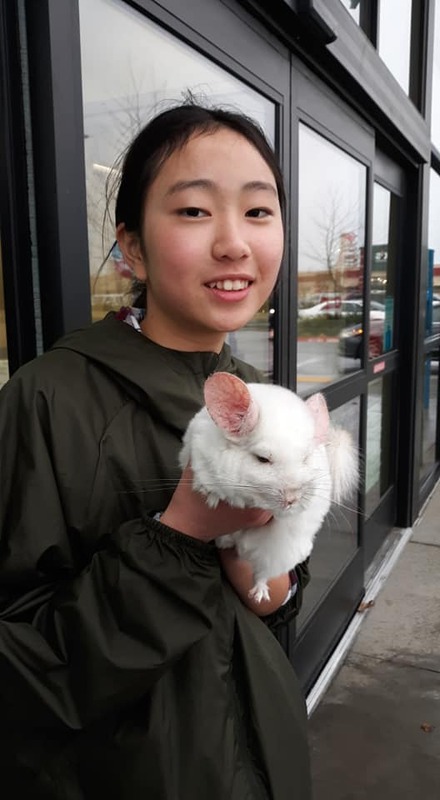 Special notes: Brandy was the original Chinchilla in her previous home, and her owner attempted to give her 2 companions. Brandy decided she did not like having friends and fought the others. She may prefer to be a single girl. Brandy is mouthy, and vocal. She tells you exactly how she feels and will spray you if threatened. However, she's also incredibly sweet and really lets you know how much she LOVES those chin scratches by giving you sweet chirps. It will take some time for her to warm up to a new home, she does not greet you at the cage yet - but this is a new and scary place for her. We hope she will feel comfortable soon.